Looking to fix a leaky tap, renovate an existing bathroom, or add an entirely new bathroom in your Calgary home? A Better Way Plumbing & Heating can fix a leaky sink, replace a old toilet or completely renovate your entire bathroom. Showers, bathtubs, faucet replacements, we do it all. Start your bathroom renovation right with quality plumbing that will last the test of time. Toilets can be a crappy job, but we’re happy to do it. A Better Way Plumbing can replace all the toilets in your home in a single day with very little disruption to you and your family. 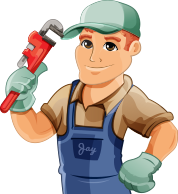 Whether you need on toilet repaired, or you want to upgrade your entire home to the latest in toilet technology, give A Better Way Plumbing Calgary a call. We love the new models of Toto toilets and we know your family will love them too.